MOBILE, Ala. (December 27, 2007) – Computer Programs and Systems, Inc. (NASDAQ: CPSI), a leading provider of healthcare information solutions, today announced that it has forged a partnership with NeoTool to provide its clients with a more efficient solution for interfaces. The introduction of an interface engine will promote interoperability with third-party stand-alone systems while streamlining the development, testing and deployment of interfaces. "While the CPSI System is a complete and fully integrated electronic medical record (EMR) solution for our community hospital clients, interoperability with third-party stand-alone systems is a critical component to sharing data in regional electronic health record (EHR) initiatives and ultimately the coming National Health Information Network (NHIN)," explained Boyd Douglas CPSI’s President and Chief Executive Officer. "In the context of disparate systems, interoperability means interfaces. 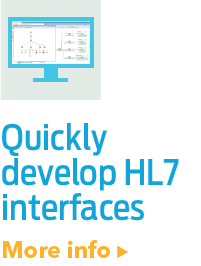 While CPSI has been providing our client hospitals with point-to-point standards-based interfaces in the HL7 format for many years, the addition of the NeoIntegrate™ interface engine allows us to employ a more efficient development process resulting in reduced costs and a shorter development cycle." Under the new interface methodology, the NeoTool interface engine will be used to communicate patient demographic and clinical information between the CPSI System and third party systems. Efficiency is achieved by employing a single input file and a single output file to define standardized communications with the CPSI System that will be used to support all interfaces. By pre-defining the communication standard, the query and update features of individual uni-directional and bi-directional interfaces can be quickly developed and implemented. "The development of traditional direct point-to-point interfaces is both time and resource intensive and, depending on the complexity of the desired functionality, can be quite costly," said Scott Schneider CPSI’s Senior Vice President of Business and Corporate Development. "With the NeoTool interface engine, the level of effort to produce and support interfaces will be dramatically reduced and, as a result, we will be able to pass significant cost savings on to our Customers." NeoTool brings an industry leading depth of knowledge to the partnership and a staff with experience in building three generations of interface engines. 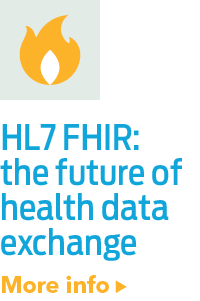 The company is specifically focused on healthcare integration and is deeply involved in the ongoing maturation of the HL7HL7 is a Standards Developing Organization accredited by the American National Standards Institute (ANSI) to author consensus-based standards representing a board view from healthcare system stakeholders. HL7 has compiled a collection of message form... interface standard. NeoTool is an active member of the HL7 organization participating in every HL7 work group meeting since 1997. "With this partnership, CPSI is demonstrating a strong commitment to their customers by simplifying the complexities of healthcare interfacing," said Phil Guy, NeoTool’s Chief Executive Officer. "CPSI customers will be able to leverage the NeoTool interface engine to more effectively connect their provider community and third party systems. The result will be greater operational efficiency, streamlined workflows, and enhanced provider relationships." NeoTool’s healthcare integration solutions empower organizations to develop, test, deploy, and manage data exchanges between healthcare applications and providers. 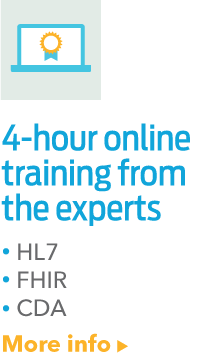 Through software, HL7 training, and consulting, NeoTool is dedicated solely to healthcare application interfacing. NeoTool customers include healthcare providers (e.g., hospitals, imaging centers, labs, and clinics), healthcare software application providers, and medical device manufacturers. For more information, visit www.neotool.com. CPSI is a leading provider of healthcare information solutions for community hospitals with over 600 client hospitals in 46 states. Founded in 1979, the Company is a single-source vendor providing comprehensive software and hardware products, complemented by complete installation services and extensive support. Its fully integrated, enterprise-wide system automates clinical and financial data management in each of the primary functional areas of a hospital. CPSI’s staff of over 800 technical, healthcare and medical professionals provides system implementation and continuing support services as part of a comprehensive program designed to respond to clients’ information needs in a constantly changing healthcare environment. For more information, visit www.cpsinet.com. This press release contains forward-looking statements within the meaning of the “safe harbor” provisions of the Private Securities Litigation Reform Act of 1995. These forward-looking statements can be identified generally by the use of forward-looking terminology and words such as “expects,” “anticipates,” “estimates,” “believes,” “predicts,” “intends,” “plans,” “potential,” “may,” “continue,” “should,” “will” and words of comparable meaning. Without limiting the generality of the preceding statement, all statements in this press release relating to estimated and projected earnings, margins, costs, expenditures, cash flows, growth rates and future financial results are forward-looking statements. We caution investors that any such forward-looking statements are only predictions and are not guarantees of future performance. Certain risks, uncertainties and other factors may cause actual results to differ materially from those projected in the forward-looking statements. Such factors may include: overall business and economic conditions affecting the healthcare industry; saturation of our target market and hospital consolidations; changes in customer purchasing priorities and demand for information technology systems; competition with companies that have greater financial, technical and marketing resources than we have; failure to develop new technology and products in response to market demands; fluctuations in quarterly financial performance due to, among other factors, timing of customer installations; failure of our products to function properly resulting in claims for medical losses; government regulation of our products and customers, including changes in healthcare policy affecting Medicare reimbursement rates; interruptions in our power supply and/or telecommunications capabilities and other risk factors described from time to time in our public releases and reports filed with the Securities and Exchange Commission, including, but not limited to, our Annual Report on Form 10-K. We also caution investors that the forward-looking information described herein represents our outlook only as of this date, and we undertake no obligation to update or revise any forward-looking statements to reflect events or developments after the date of this press release.